with modern production can build a stronger following over time and have more longevity for use with sync licensing in movies and television. I’ve produced, mixed and mastered music for over 70 Artists from 18 different countries and helped them accumulate combined millions of plays, even had productions hit No. 1 spots on Spotify and iTunes. 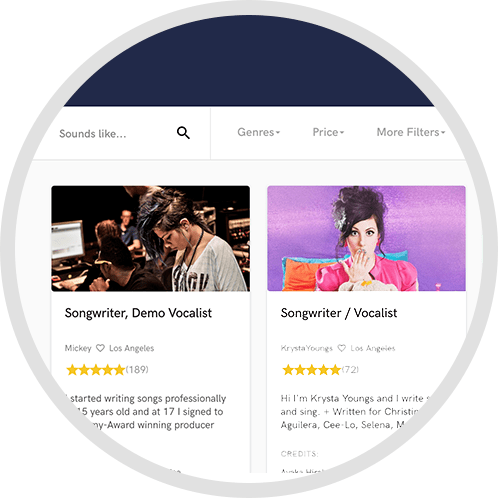 I can help you create a lasting song that will continue to build your fanbase and your brand. We'll start our production process with a chat, so I can thoroughly understand your vision for the project. After that, I’ll formulate an actionable plan that we can collaborate on, until your project is finished. Terms & pricing will be laid out upfront in a written proposal. And you can expect that everything will be explained in great detail, so there are no surprises down the road :). I am fluent in German, English & Russian. 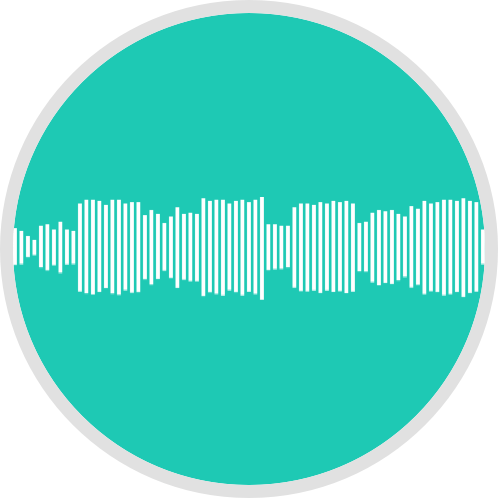 Thanks a bunch for checking out my Soundbetter profile! he is a very good producer and he cares a lot about he's work I enjoyed working with him and he is open to any idea u have and gives u want u want and more. Very great experience. Eduard did a wonderful job mastering my track! Eduard is a really talented engineer. He has a really good ear and was able to add feeling and balance to my song. He is also very patient and communicative. Will definitely work with him again. Eduard did an excellent job mastering! I requested extra fast delivery and got my master after less than 24 hours. The quality is outstanding and the communication was professional and easy. Eduard did an awesome job on my latest track. Highly recommend him for anyone who is in need of mastering. 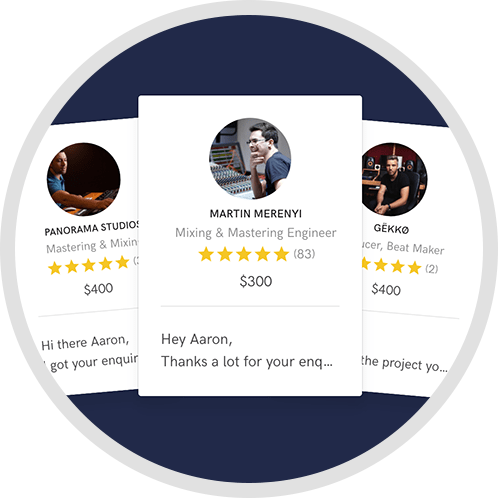 I have used other mastering services in the past however with Vintage Modern Recording I experienced a quick turnaround time along with professional advice and a detailed list on what was done during the mastering process. I definitely recommend Vintage Modern Recording for any mixing or mastering services! 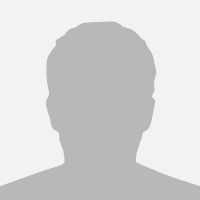 Eduard is extremely reliable when it comes to building a production from the ground up and always has the artist and marketability of the project in mind. Definitely 10/10. Eduard communicated well through out the whole project. His work on my track is excellent, he even gave me tips as to how to have a better sound and how to become a better producer. Hes a talented guy, I recommend. This guy GETS IT. Incredible & unique production. Awesome communication. You'd be insane not to hire him. Great producer! Mixed and mastered our track in an awesome way so now it sounds top level. Many thanks. Fast pace and great quality for a decent cost. Highly recommended! my first time working together with vintage modern recording. it fast and brilliant. surely, the end products sounds truly outstanding. i definitely be working with him again in the future! Fantastic service for a decent cost, engineers were highly communicative and worked cooperatively to get the job done. Would recommend to anyone in need of audio engineering 100%. A: The ability to spot trends and infuse them with my own unique style. A: Both. I like the convenience of the digital realm combined with the warmth of analog gear. A: Depends on whether there's internet. If not, then I'd rather trade those 5 things for a grand piano. A: Bruno Mars, because he is incredibly talented in blending modern pop and vintage-flavoured music. Hey, how's it going! I have a new website, feel free to check it out & leave a message. We have a knack for creating relevant and marketable music for artists and media from start to finish. We just posted a really cool article in our blog about common production pitfalls. Hey guys! We published a fresh blog post with our favorite free plugins, be sure to check it out.